Besides the Kirkland Signature Smoke Salmon, there are a few other items at Costco that we use as lunch meat. 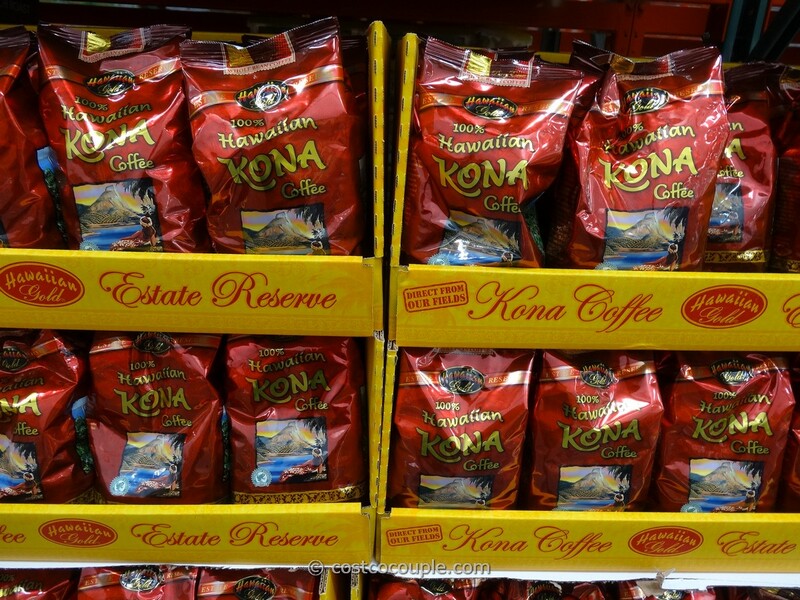 We seek out products with no artificial ingredients or preservatives. One of the items in our rotation is the Jones All Natural Uncured Canadian Bacon. Even though there’s the word “bacon” in the name, Canadian Bacon tastes more like ham than bacon. It’s made from a lean cut, the pork loin, and it’s 97% fat free. It’s fully cooked so you can eat it as-is. 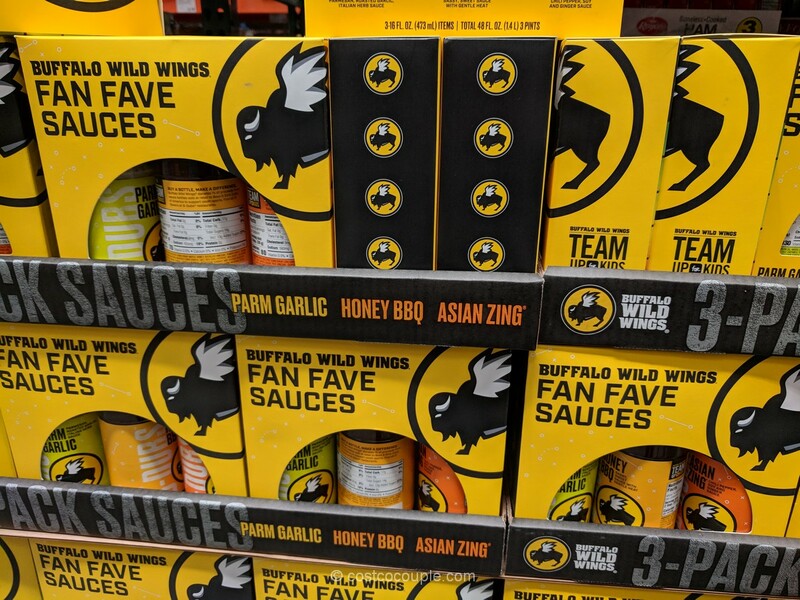 It has a smoky-sweet flavor and is delicious. 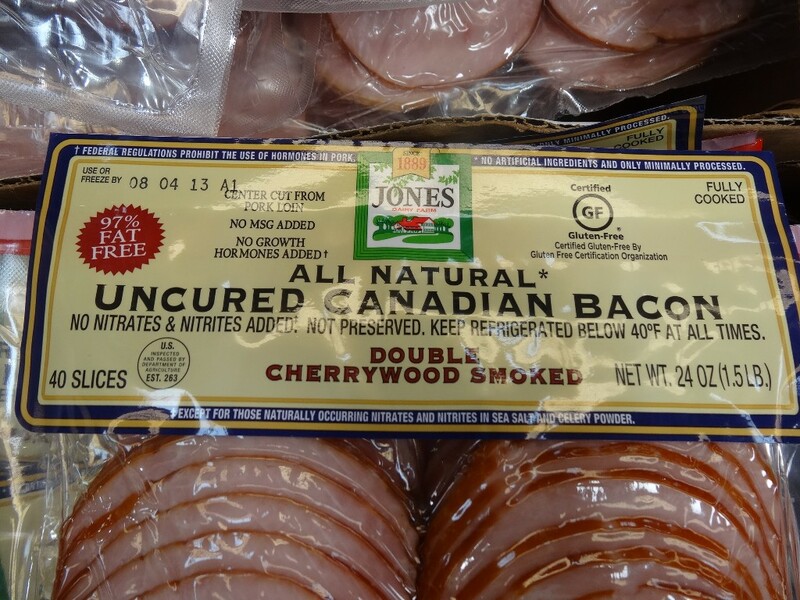 – No Artificial Nitrates and Nitrites added except for those naturally occurring in sea salt and celery powder/juice. 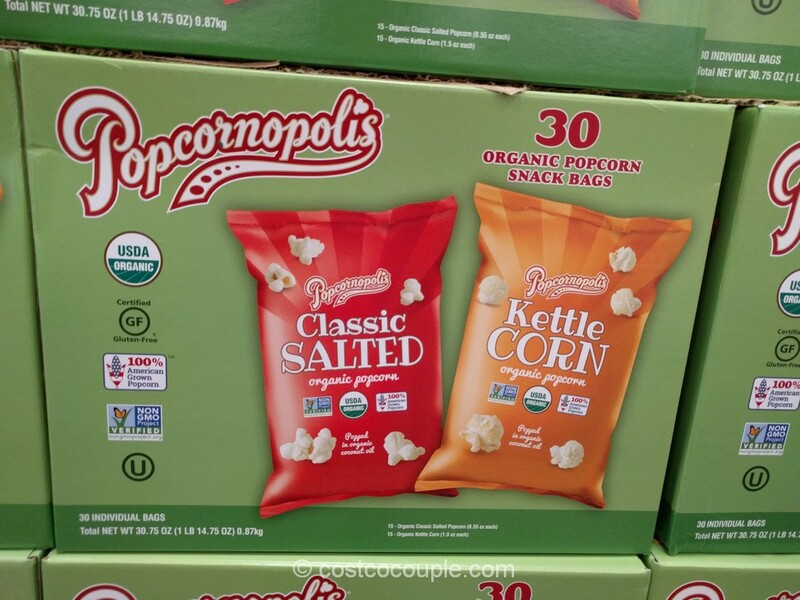 Only drawback is that it does have a high sodium content. 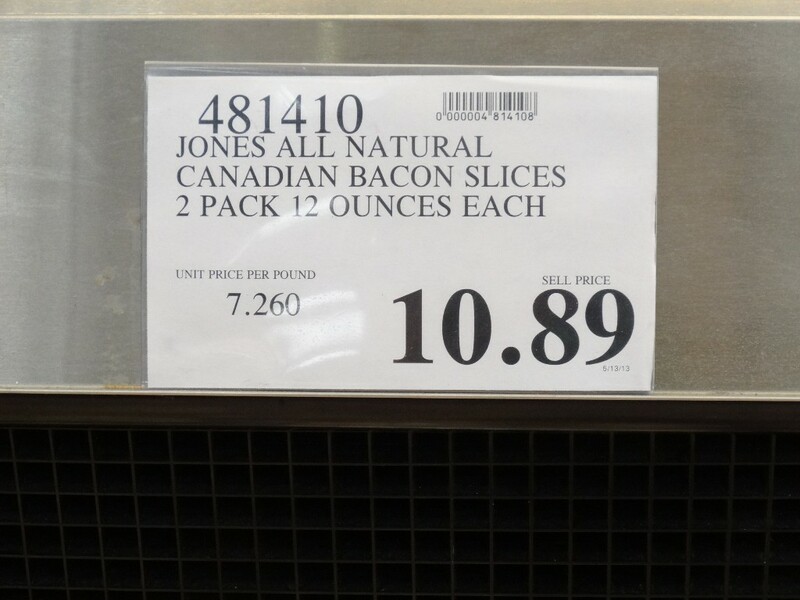 The Jones All Natural Uncured Canadian Bacon is available in a 2-pack of 12 oz each. It costs $10.89 for the 2-pack or $7.26/lb. 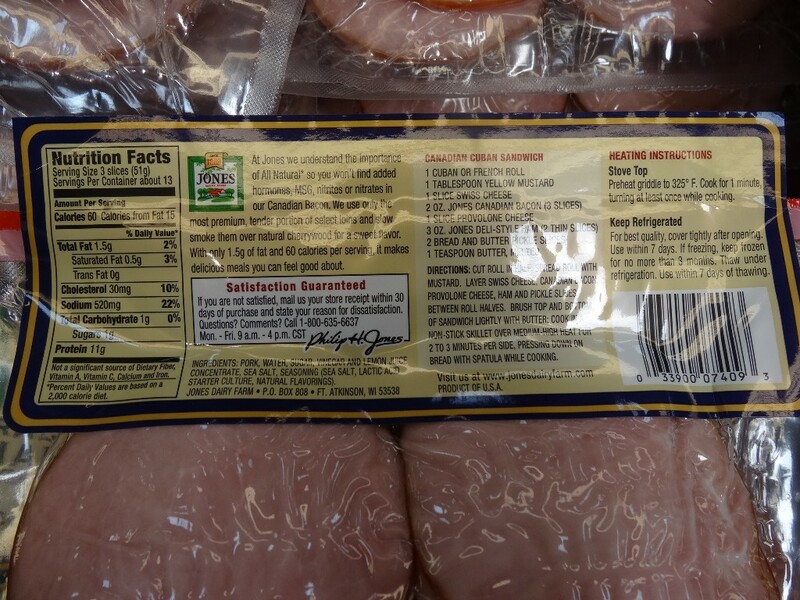 So, if you’re looking for a healthier lunch meat, do look for this item at your local store.